Veteran Texan outlaw Ray Wylie Hubbard headlines Nu Country TV on Saturday September 22 at 9 pm on Channel 31/Digital 44. Fellow Texans Wade Bowen and Maren Morris also return to the show hosted by Mid Pacific Bob Olson and repeated Sunday at 11.30 pm and Monday 3 pm. Arkansas farmer's daughter and female outlaw Ashley McBryde joins Hubbard live in Behind Bars on the program filmed and edited by Laith Graham. Former Jindabyne jackeroo Brad Cox and Nashville nymph Jenny Tolman debut with scenic new video clips. Oklahoma born latter day Texan singer-songwriter Ray Wylie Hubbard returns to Behind Bars with a satanic verse. Hubbard, now, 71 performs humorous homily Conversation With The Devil from his 17th album Tell The Devil I'm Getting There Fast As I Can. Ray Wylie won fame for writing Jerry Jeff Walker hit Up Against The Wall Redneck Mother and plays Willie Nelson's July 4 picnic each year. He also guests on Eric Church's new single, video clip and album title track for Desperate Man that they co-wrote. Ray Wylie showcased a cinematic career collage on his last Behind Bars spot on Tell The Devil I'm Getting There As Fast As I Can. He reached back to his roots with help from Church, son Lucas, fellow Texan Hayes Carll, Patty Griffin and Lucinda Williams.
" Tell the Devil is a rock & roll fable about hanging your life on a guitar, holding onto a dream no matter what or how long it takes, wagering your soul in a crooked game and falling in love with a badass tattooed woman, hmmm, maybe it isn't a fable,” Hubbard revealed from his hill country home in Wimberley. Wimberley is also former home for Kevin Welch who now lives on the NSW south coast with his Australian wife and where expat Queenslander 8 Ball Aitken recorded his 10 th album Swamp Blues. Hubbard's album was recorded at The Zone in Dripping Springs Texas , with lead guitarist Lucas, drummer Kyle Schneider, Jeff Plankenhorn on dobro and mandolin, Bukka Allen on B3 organ, and studio owner Mike Morgan and engineer Pat Manskee on bass. Ray nurtured Lucas in his band since he was 12 and writes and records with fellow Texan Hayes Carll who toured here twice. Lucas taught a Geelong Amateurs footballer to throw his Texas Longhorns gridiron ball at Willie's July 3 picnic at Carl's Corner in 2006. Ray Wylie and Carll wrote Drunken Poet's Dream - entrée on Carll's 2008 album Trouble In Mind. 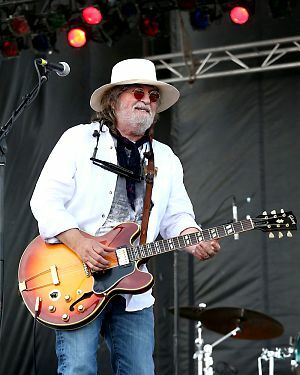 CLICK HERE for a Ray Wylie Hubbard feature in The Diary on July 7, 2012. Wade hails from Waco - home town of Grammy winning bluegrass author, comedian and banjo ace Steve Martin - and latter day digs of sharp shooter Billy Joe Shaver. Bowen appeared on Nu Country when he headed north to perform a song about the south live in New York City. Bowen spiced his music with a mariachi feel in Day of The Dead - also on Solid Ground that he produced with fellow Texan Keith Gattis and featuring Lone Star State singers Jon Randall and Miranda Lambert as guests. 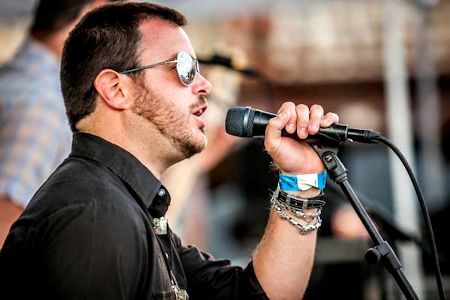 The Texas Tech University graduate appeared on Nu Country with Say Anything, When I Woke Up Today and duet with Randy Rogers for Standards on their joint album Hold My Beer, Volume 1. Fellow Texan Maren Morris returns with a spaghetti western video set in a Tucson movie town. 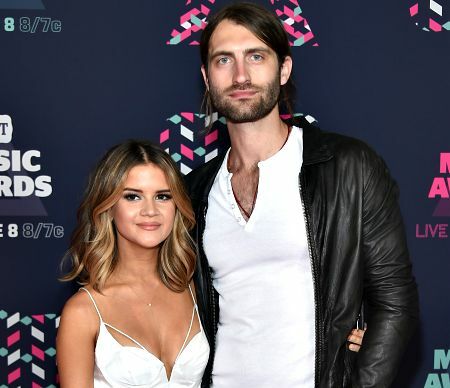 Maren, 28, plays a bounty hunter who ropes singing spouse Ryan Hurd who is cast as Buffalo Hurd in her video for Rich. Morris wed writing partner Hurd who flew into her life from Kalamazoo, Michigan . Rich is one of 11 songs the Arlington born singer wrote for her fourth album Hero. She donated proceeds of her Dear Hate duet with Vince Gill to the Music City Cares foundation. That was after mass murder at Route 91 Harvest Festival in Las Vegas headlined by Jason Aldean, Eric Church and other major artists. Morris also appeared on Nu Country with videos for I Could Use A Love Song and as a 90's lady in her 80s Mercedes. Maren joined fellow Texans Kacey Musgraves, Miranda Lambert and the Dixie Chicks at the 59th Grammys in February and landed support roles on the Ripcord tour by expat Australasian star Keith Urban. Hero, released on June 3, 2016, debuted at #5 on Billboard all genre Top 200 chart and #1 country charts with 45,000 sales. Her single My Church cracked Top 5 after her duet with Dierks Bentley on I'll Be The Moon reached #22 on his 10th album Black . CLICK HERE for a Morris CD review in The Diary on June 18, 2016. Hurd, now 32, sang of romance with Maren in his song Love In A Bar after they wrote another for singing actor Tim McGraw. 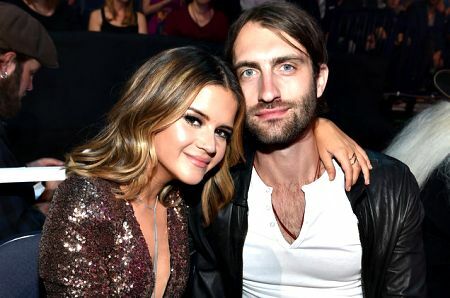 “ Love In A Bar is very much an autobiographical song about my relationship with Maren,” Hurd revealed. Love In A Bar is on Hurd's debut EP Panorama recorded after moving to Nashville as a songwriter and a Grammy nomination for writing Blake Shelton-Ashley Monroe hit Lonely Tonight. Ryan also penned songs for Arizona singing pilot Dierks Bentley, Lady Antebellum , Floridian Jake Owen, McGraw and other major artists. Hurd earned a sociology degree at Belmont University in Nashville and pursued song-writing with talented friends. “The short story is, we kind of all just put our heads down and started writing songs together and would do some demos,” Hurd recalled. 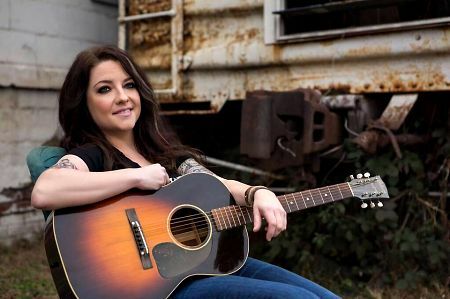 Arkansas farmer's daughter and female outlaw Ashley McBryde recalls what her dad heard driving a tractor when she was aged just five in Mammoth Springs. The 33-year-old - one of eight children - recalled her dad's tractor radio picked up the music of the late great Texan Townes Van Zandt. Ashley rides in the slipstream of Ray Wylie Hubbard, David Allan Coe and late Texans Townes and Guy Clark. Radio Land is on her fifth album Girl Going Nowhere. She wrote the title track the day after Texan mentor Guy died at 74 on May 17, 2016. Ashley recruited her three young god-sons in previous video American Scandal and debuted Behind Bars in aptly titled A Little Dive Bar In Dahlonega. Ashley wrote it with Nicolette Hayford and Jesse Rice about a Georgian honky tonk in a town of 5,200 people. Former Jindabyne jackeroo Brad Cox performs an aquatic love story with a shock ending. 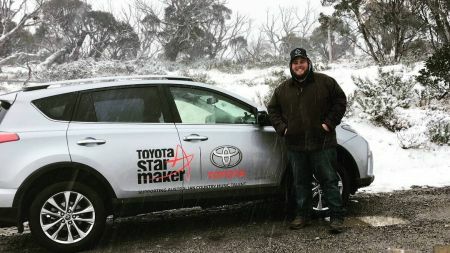 At 22 he won the 39th Tamworth Star Maker Quest this year and filmed Lake House near his high country Snowy Mountains lakes home. “ Lake House is about a woman I met and never saw again,” said Brad. Cox wrote 11 songs for his self-titled debut album produced by Matt Fell that he's promoting on tour with Adam Eckersley and Brooke McClymont. CLICK HERE for a Brad Cox CD review in The Diary on September 3. Her dad sang in barber shop quartet Indian River Boys before becoming a talent buyer in Music City. Something To Complain About is on debut album Jennyville that features acoustic guitar, fiddles, horns and steel guitar on songs diverse as Ain't Mary Jane, So Pretty, High Class White Trash and Used To My Cooking. “I love country music, and I love humans, and to me, using computers to make sounds that humans make feels like you're stealing in some way,” Tolman revealed. 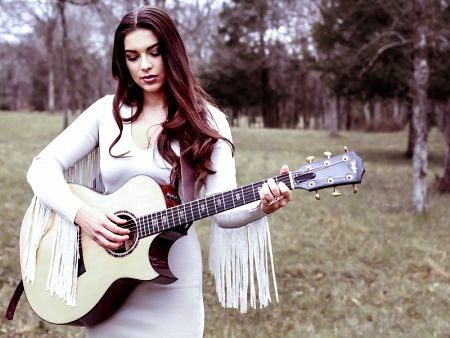 Tolman, now 22, released a self-titled EP at 18 and has toured with Cole Swindell, Michael Ray and Alabama .